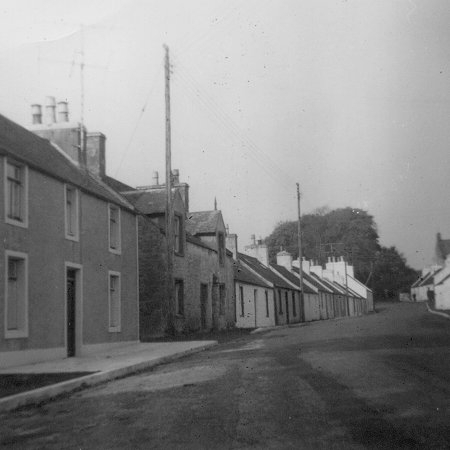 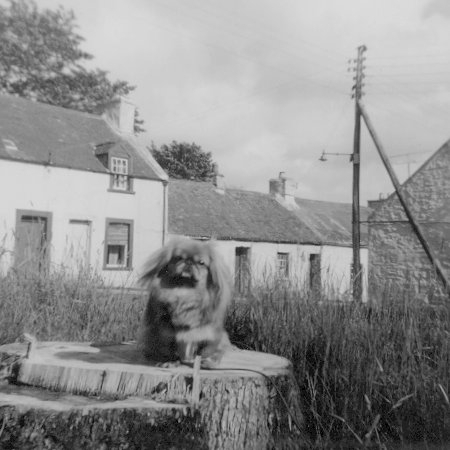 Mr Macdonald, who took over the village shop after the McHargs, had this wee dog called Cindy. 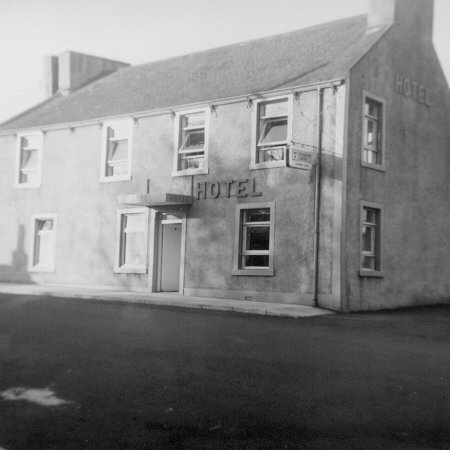 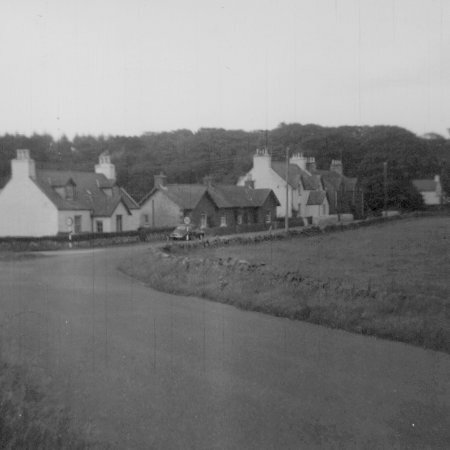 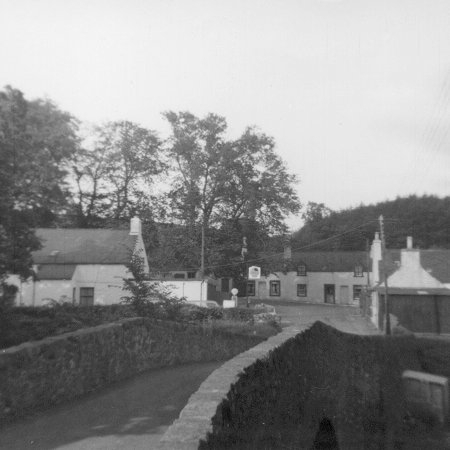 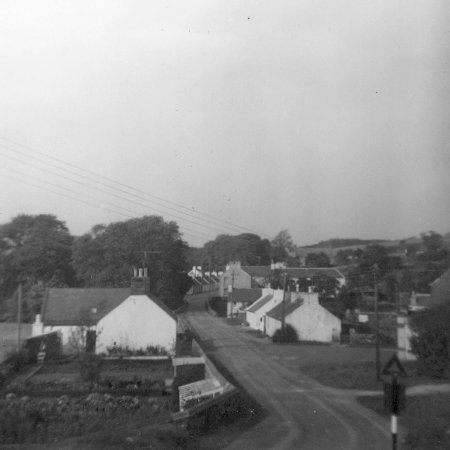 You can also see the old Stair Arms Hotel on the left in the background. 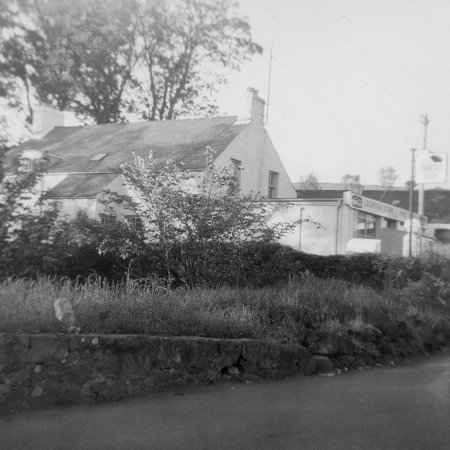 Just out of sight is the mounting block that stood at the corner underneath the electricity pylon. This was a meeting point in the village for young folk.